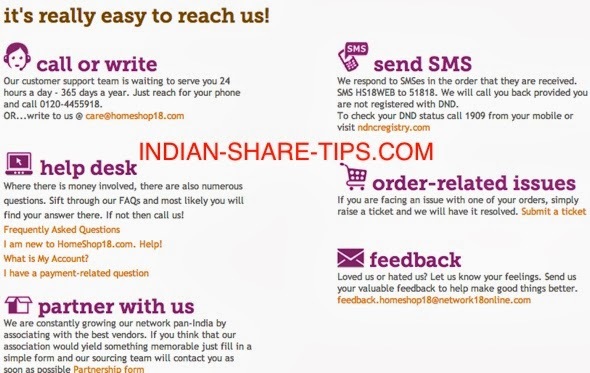 How to Contact Homeshop18 for Help? Homeshop18 is a flagship company from the stable of CNBC group and are responsive for your needs. You can seek their help for either ordering the product or informing them about the defect of the product. For informing them about the defect in the product; one need to make sure that one has ordered product by making a user id and just remember the password. One can login with the userid and can raise a ticket from the homeshop18 page.